Writing 101 and the World Cup prompted several readers to comment on my use of language; specifically, my erratic mix of English and German. For the record, I am not a native German nor was German my native language. In fact, I’ve never even been to Germany (or any other part of Europe, for that matter). So, how did I come to learn Deutsch, die Muttersprache des Vaterland? 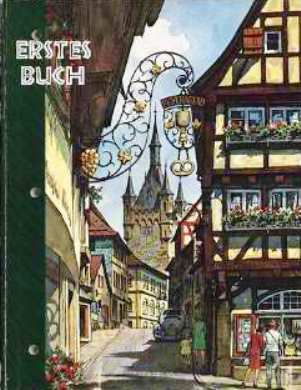 It all began in high school with an ancient German Grammatikbuch, Erstes Buch. My Lehrerin was Frau Dickhut, an older Slovenian lady who insisted on calling us her “Schlechten Buben” even when we weren’t acting like Max und Moritz. I didn’t like German as a language then, although I can’t explain why. Perhaps because it was forced on me? However, I enjoyed the songs, stories, and food. Especially the food: Schnitzel, Brezel, Kartoffelsalat. Schmeckt! I endured the two years of high school (Gymnasium? Ich versiß) only to discover I needed a foreign language for my college course. Since I already had some German background, I took the placement test and placed in second-semester Deutschklasse. However, I convinced my examiner to start me in first semester. 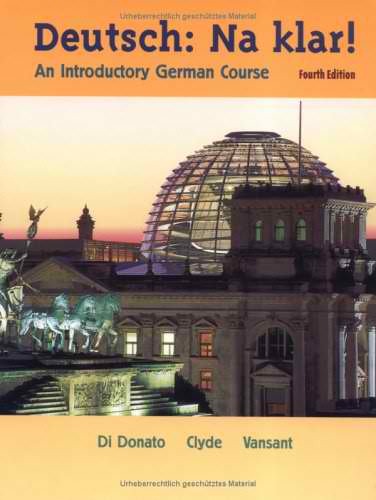 Finally, German grammar on my level! 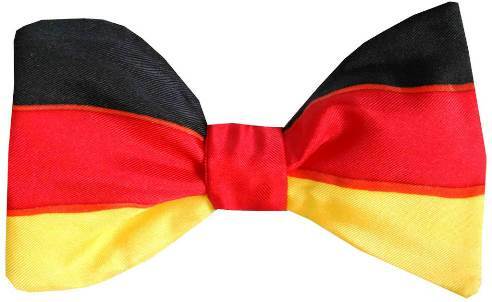 It was in college that I began to love German both as a language and as a culture. Fridays were Kulturtage: we’d sing (singen), play games (spielen), eat (essen), read (lesen), or give reports (einen Bericht geben). My first oral report was on Baron Manfred von Richthofen (der Rote Baron). I remember the first time I understood Wagner, Göthe, Brahms, and Fonante. It was electrifying. Although I finished my “official” German classes years ago, I still try to keep up with it. I read Der Spiegel and Die Zeit and listen to Deutsche Welle – all free courtesy iPhone Apps. 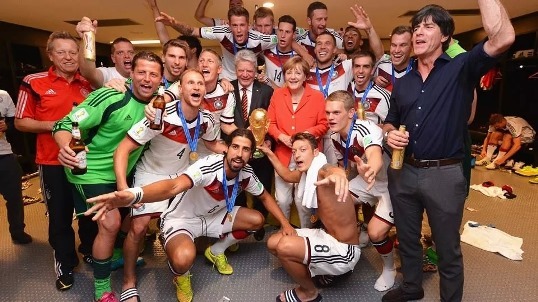 Listening to Germany win die Weltmeisterschaft in Deutsch? Wunderbar und entzückt! 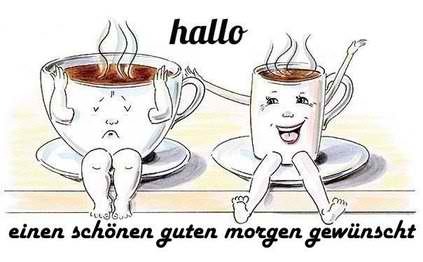 The one thing I lack is someone to speak to, so my Deutschesprechen ist nicht sehr gut. I also teach force my students some German words. In addition to a German “Word of the Week,” I answer common questions in German. Q: May I use the restroom? Sometimes, they pick it up quite well. A year or two ago I had one student who picked up my German phrases and asked or answered them in Spanish. Since I don’t know Spanisch enough to use it, our conversations would be an eccentric mix of English, German, and Spanish. We’d often use it to confuse new students on their first day of class. That made the first fünf minuten sehr interessant, indeed. Oh my, I’ve used enought Deutche Wörter that Microsoft is now recognizing German as the document language setting. That’s never happened before. German has changed my everyday language. For example, I use „warum“ instead of „why“ (see, I told you the language setting changed!) and „wo bist du?“ for „where are you?“. It used to drive my wife verrückt, but now she accepts it. At the very least, she tolerates it. Hoffentlich this has cleared up some of the Wirrung.